Flora's teenage crush, Mitch, is standing at the altar when his bride has a sudden change of heart. Decades earlier, in the same church, a similar story of heartbreak played out. 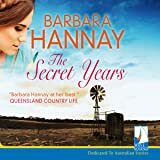 From the rolling green hills of the Tablelands to the crowded streets of Shanghai on the eve of the Second World War, this beautiful romantic saga asks the question - do we ever get over our first love, and is it ever too late to make amends? Get the Audible audiobook for the reduced price of $4.49 after you buy the Kindle book. Choices made on the run, when one was young. Three strands. So many balls in the air. A Russian violinist and an English girl in Shanghai; Joe and his one night stand with a sassy barmaid; a country cop and a schoolteacher. 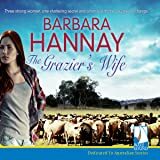 Three generations – Lily’s delayed marriage and an adopted-out Hattie, farmer Joe who never made it to his original wedding, the cop who was left standing at the altar. 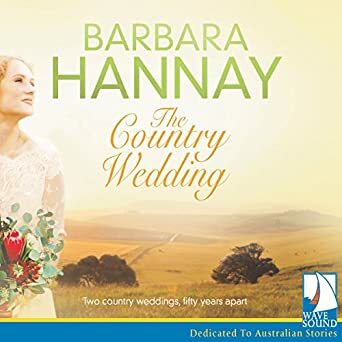 This is a novel which expands the horizons – pre-war China, American troops in far north Queensland, beautiful music, song and dance in a tropical highlands country town. Plot-wise it’s too complex leading to convenient resolutions at the expense of the characters. 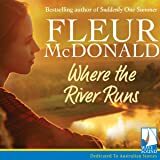 Flora, a young violinist fleeing from a toxic relationship with a baritone, makes it back to her home town and former orphaned and unsettled heart throb, Sergeant Mitch Cavello. This is the beginning of an exciting story. Trouble is this contemporary setting opens at the second chapter. Chapter one is vintage 1958 and goes back to pre-war China. Sure Hattie the illegitimate daughter of a White Russian; Jilted by Joe for Gloria; and her return to Burralea is going to be the major part of the story, but this chapter could have been deleted altogether and the novel begun at Chapter Two. Chapter Six reintroduces/introduces Hattie who after two marriages returns to the town for a visit, where she meets up with Joe a widower with a critical small-minded daughter, and a witness (also with Hattie) in the investigation into human remains. Sergeant Cavello, about to seek a transfer out of embarrassment of being jilted, is diverted by this investigation. 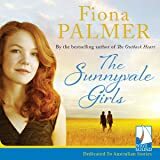 He also sees the need to protect his former schoolgirl crush Flora who is preparing for an audition to the Queensland Symphony Orchestra. Flora and Mitch’s romance obviously develops despite the hurt to each of them. Flora’s former lover Oliver turns up on a nasty violin destroying mission to be eventually removed from the scene. 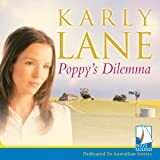 Small town gossip, nosey but caring neighbours, a sympathetic Anglican priest, successful farmers with successful families. Beautiful highlands weather interrupted by the big wet and its oppressive build up. Families and friends enjoying Christmas, visits to Brisbane and Cairns. Perfect conservative country, contrasting with the Japanese invasion of China and black American GIs mutinying in Townsville. Truly a smorgasbord to delight any reader looking for romance, adventure, some detective work and the victory of good over evil, despite doubtful decisions made early in the protagonists’ lives. The race card is respectfully orchestrated. Chinese man-English woman, Russian Jew-English woman, African-American soldier-Australian girl, hard-working Italian-Anglo/Celtic relationships in the Atherton Tablelands. Nothing about Murri or the possibility of Murri farm workers. Or overseas backpackers. Now here’s a challenge for Hannay and the romance genre. (I alluded to this in my critique of Moonlight Plains).When will she attempt a romantic Aboriginal-Balanda relationship? A problem for a book cover too. 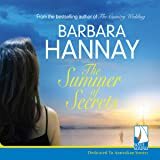 Barbara Hannay has a way with words. Don’t throw them away. She’s not up with the F word. It’s introduced on page 36 and occasionally appears throughout the novel. Unless it’s in dialogue (even then this is problematic) F… appears to be extraneous and quite unnecessary. This is not said out of prudery. F… does not fit comfortably with the professional style and approach of this ambitious and challenging novel. The balls are still in the air with The Country Wedding. Too complex, and exhausting for the author no doubt. Fewer players would allow relationships to develop at a more revealing and sympathetic pace. I give her four stars all round – true romance and literary style. Martin Kerr’s New Guinea Patrol was first published in 1973. His cult memoir, short stories and seven novels are available on Kindle.